Enjoy the comfort and luxury of a one-of-a-kind chair -- the Draco Side Chair by Eurostyle. This chair's leatherette over foam seat and back deliver the perfect mix of luxury and style, ensuring your guests can sit comfortably. 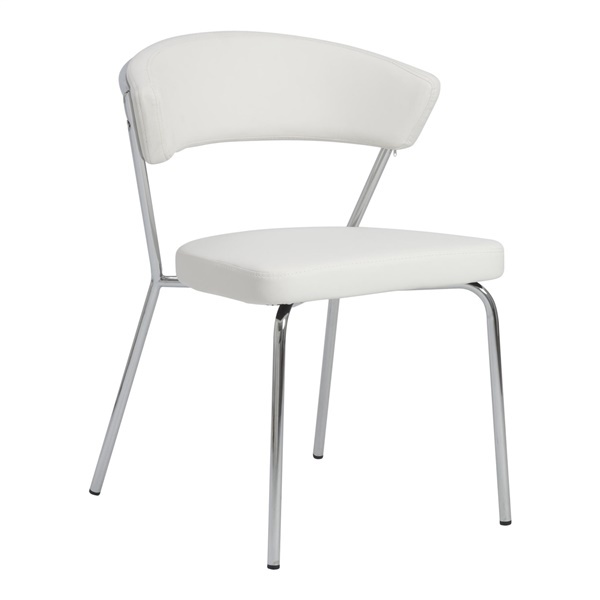 Also, the chair's cozy contoured back allows guests to sit back and relax in a graceful, inviting seat. And with six colors for you to choose from, you're sure to find a stunning chair that will complement any d�cor. Is this a stackable chair? The Draco Side Chair does not stack. The seat height for the Draco side chair is 18.5"